Installing SATA Drivers without a Floppy Disk (Intel Only) (Windows XP) - TACKtech Corp. 1.) Download Drivers. (iastor-sata-drivers.zip ~201KB). 3.) Extract the file from iastor-sata-drivers.zip into the folder C:\OS\ROOT\$OEM$\$1\DRIVERS. 1.) Download Drivers. 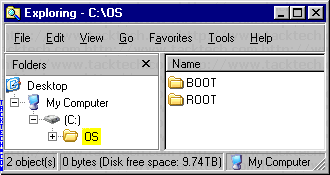 (iastor-sata-i386.zip ~331KB). 2.) Extract the file from iastor-sata-i386.zip into the folder C:\OS\ROOT\i386. [Data] AutoPartition=0 MsDosInitiated="0" UnattendedInstall="Yes" [Unattended] UnattendMode=FullUnattended UnattendSwitch=Yes OemSkipEula=Yes OemPreinstall=Yes ConfirmHardware=No OemSkipEula=Yes TargetPath=\WINDOWS Repartition=No WaitForReboot="No" DriverSigningPolicy=Ignore OemPnPDriversPath="DRIVERS\SATA\IASTOR" [GuiUnattended] OEMSkipWelcome = 1 [UserData] ProductKey=xxxxx-xxxxx-xxxxx-xxxxx-xxxxx ComputerName=WorkStation FullName="" OrgName=""
PCI\VEN_8086&DEV_2922&CC_0106 = "iastor" PCI\VEN_8086&DEV_282A&CC_0104 = "iastor" PCI\VEN_8086&DEV_2829&CC_0106 = "iastor" PCI\VEN_8086&DEV_2822&CC_0104 = "iastor" PCI\VEN_8086&DEV_2821&CC_0106 = "iastor" PCI\VEN_8086&DEV_2682&CC_0104 = "iastor" PCI\VEN_8086&DEV_2681&CC_0106 = "iastor" PCI\VEN_8086&DEV_27C3&CC_0104 = "iastor" PCI\VEN_8086&DEV_27C6&CC_0104 = "iastor" PCI\VEN_8086&DEV_27C1&CC_0106 = "iastor" PCI\VEN_8086&DEV_27C5&CC_0106 = "iastor" PCI\VEN_8086&DEV_2653&CC_0106 = "iastor"
iastor = "Intel(R) SATA RAID/AHCI Controller"